People often ask what it’s like working as an independent producer/director and the answer is not a simple one. It can be demanding, stressful, creative and outrageously funny all in a day. There are times when you despair as nothing seems to go right and times when you are in awe of the magic you are creating – with the help of your cast and crew. The one thing I can say about this life is that it’s never dull. 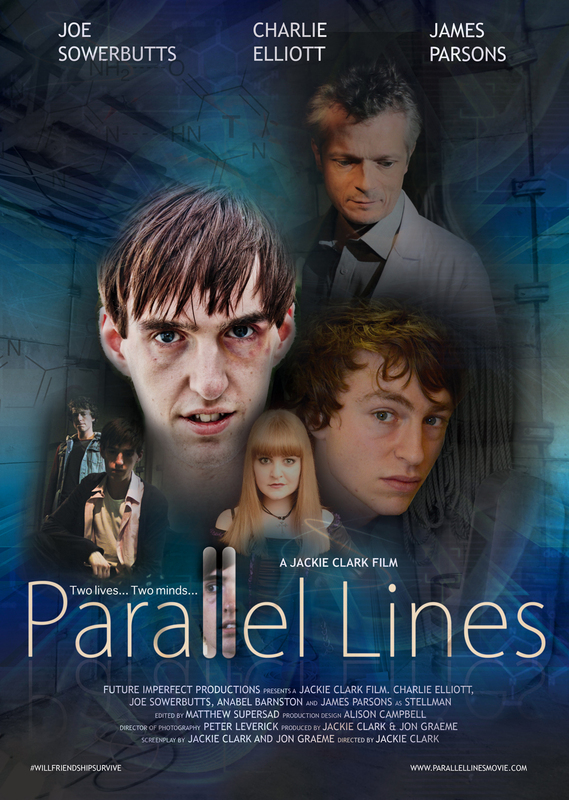 My latest project, Parallel Lines, began preproduction two years ago and we finished filming on 29th October 2013. Post production will take a further year. Parallel Lines is a science-fantasy thriller about a repressed teenage geek who attends a student conference where he picks up the thoughts of a rebellious, adolescent schizophrenic and realises that he is telepathic. Kidnapped by a scientist engaged in unethical experiments, he must grow up, take the lead and enlist the help of this unlikely friend before he and other young telepaths are killed. My addiction to the buzz of film making began some years ago when I was asked to write a short script and ended up as producer of a micro-budget three-part sci-fi drama. Lack of funds meant the finished project had some major flaws. It was completed through sheer determination from the crew who were mostly students just starting out in the business. This current feature began after reading a friend’s novel and making an off-hand comment that the story would make a good script. 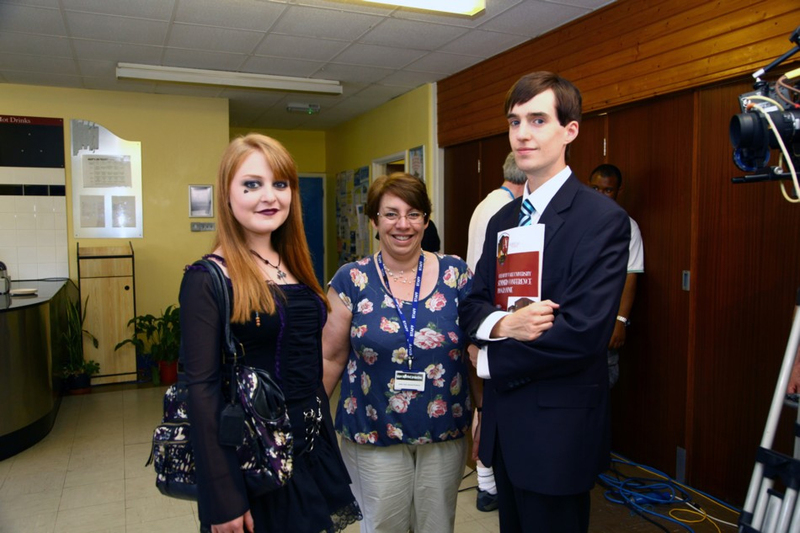 We worked on the script together and then decided to jointly fund the project through to completion. We knew that if we were going to make something good enough for cinema release we’d need a substantial budget – even if it was only a tiny percentage of what a big production company would spend. I scrimped, saved and sold things for a few years to raise my contribution as well as running a successful Indiegogo campaign. Eventually we had enough to do justice to the script. Hitchcock once said that 80% of what makes a movie is the casting and I totally agree. We began our search for cast by looking on Star Now and progressed to Casting Call Pro, Shooting People and Spotlight. 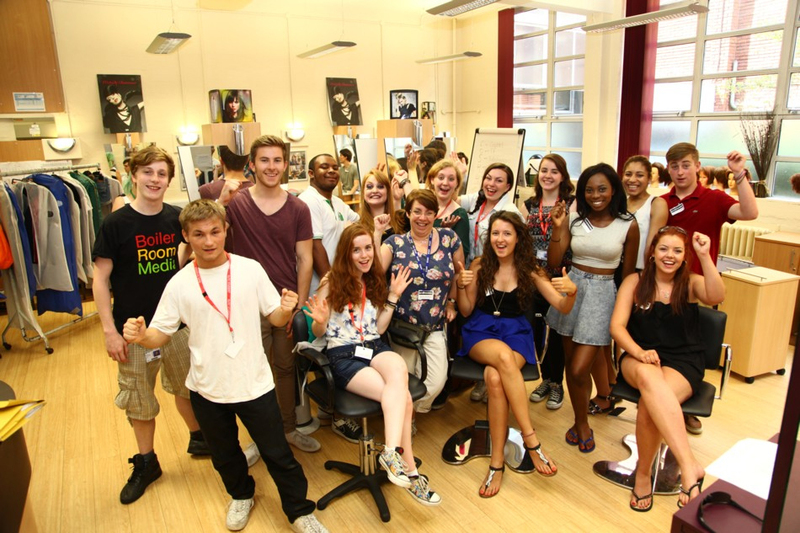 There were over a hundred applicants for the lead roles and we began auditions in November 2012. We were advised that actors wouldn’t be able to commit that far out from the project, but were determined not to rush the process. The panel was made up of myself, Jon Graeme and Sally McCormack – the casting director. As an actress and producer, she was able to impartially advise us on the applicants’ ability to take direction etc. We auditioned at weekends for over two months, narrowing the applicants down and swapping them over to play against different sets of friends and parents. We always filmed the auditions and took time to review our choices. Once everyone was in agreement we offered the parts and it really paid off. Not one single actor pulled out after being offered a role. I’m very methodical in my approach. I drew story boards for the entire movie and had regular production meetings before the main shoot dates where we discussed the set up required for each shot. At some of the meetings we brought the crew together to practice particularly complex set ups and ensure we not only had the appropriate kit available, but all knew how to rig and de-rig quickly and efficiently. An example of a particularly complex tracking shot was one where we started tight on a coffee cup, tracked in an arc back from a table and finished across the room with three actors positioned in a triangle arrangement to emphasise their relationship to one another – all this movement was timed to a pre-recorded news report which we had on play back on the TV. It took twelve takes, and an entire morning, to get it right. This set up had been rehearsed the month before the shoot and putting in the time and effort really paid off. A fellow filmmaker from Sutton Film Makers had recently made a short and raved about how important it was to have an AD to keep things on schedule. I knew that I wanted to work with women film makers and advertised on shooting people. This was over 18 months before principle photography. When I met Anna Haffers, I knew straight away that I wanted to work with her. Our quick meeting turned into a four hour marathon where I enthused about my script. After a while she was very blunt with me and said that if I wanted to make a feature on my proposed budget, I’d need to keep to under five locations and keep the cast small. This was the best advice I’d had and I immediately set about a script re-write. 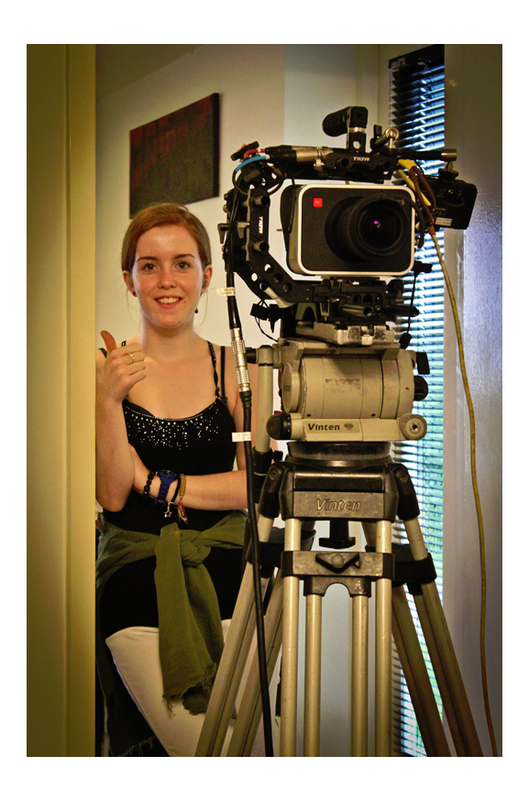 Anna helped with the shot lists and scheduling and took charge on set. She has a very loud voice, but she needed it. There is a tendency for crew to lose focus, especially with 12 hour days. Anna would constantly keep them on their toes by asking whether everyone was ready for a take. If no one answered she’s start to call for camera and sound. They’d then say no… we need more time to rig, light or get focus. They soon learned to remain on task and work quickly. But she wasn’t on their backs all the time. Anna also ensured everyone got proper breaks, took responsibility for health and safety on set and made sure we wrapped on time each day. I was very lucky that I worked for Richmond Upon Thames College prior to this project. 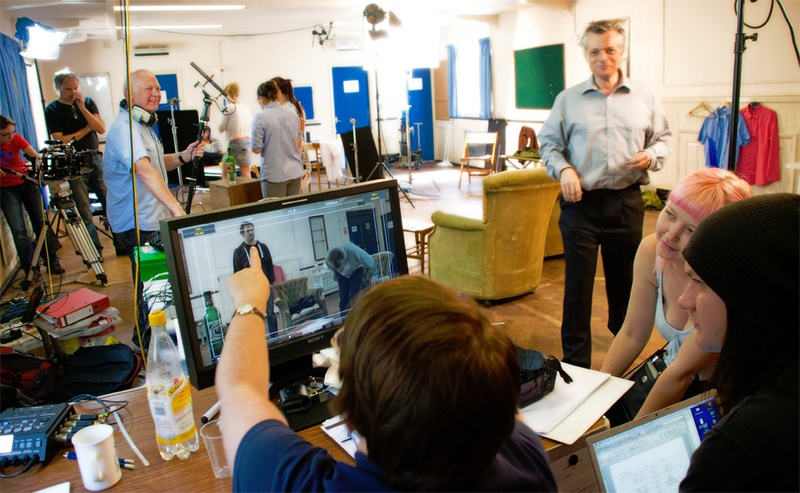 I recruited students from the drama department to play some roles, and organised for film tech students to gain work experience mentoring with professional crew. 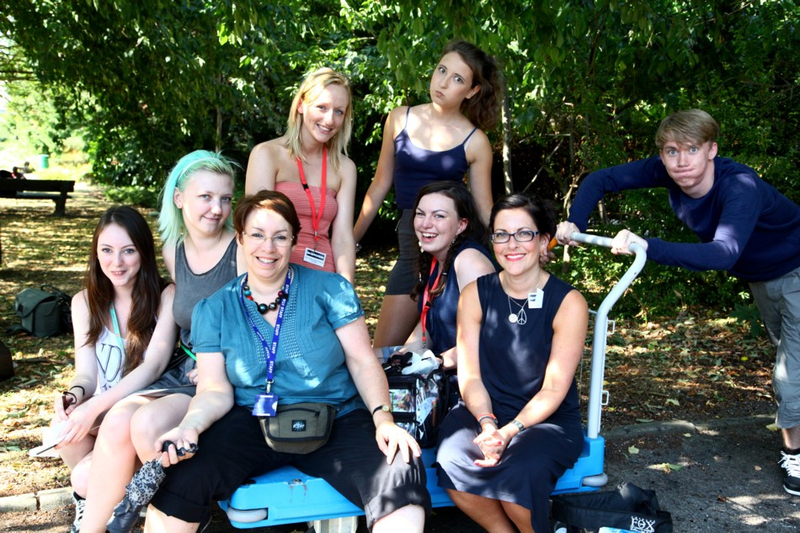 This meant that the college were willing to allow us to film on site over the summer holidays. Being a large complex of buildings provided us with a variety of indoor and outdoor locations without having to pack up and move. I scoured the internet for my other locations and found a holiday let in Kent with the exact contemporary styling I was looking for. I approached the owner who thankfully agreed. I think they expected half a dozen people and were quite shocked when a crew of 20 plus five actors arrived. Our night shoot took place at Nonsuch Park, a professional film location, I persuaded the local council to allow us free access to the park for two nights running. I’ve always believed that if you don’t ask, you don’t get. Even if it seems unlikely, you never know until you try and the worst that can happen is people say no. To sum up, I think there are three important talents required by any would be producer or director; time management, planning and interpersonal skills. It’s tempting to rush into a project full of enthusiasm for the script and with visionary ideas of perfectly crafted artistic shots. However, if you’ve not planned, prepared and brought out the best in your cast and crew, even the most creative individuals can come unstuck. Always remember that in film anything can happen, and it usually does. Forward planning and good communication cannot prevent it, but can cushion the negative effects and keep your shoot moving forward.